• Contains No Artificial Colors, Flavors, Or Preservatives. • High Protein Sinking Micro Pellets For All Types Of Aquatic Frogs and Tadpoles. 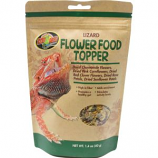 • Favorite Food Source For Many Reptiles! • Ideal For All Reptiles, Amphibians, Or Fishing! 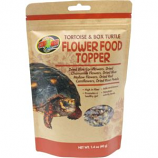 • Adds A Nice High Protein Treat To Your Turtles Diet With The Addition Of Dried Shrimp and Mealworms. • Also With Added Cranberries Which Are A Natural Food Item Of Many North American Species Of Aquatic Turtles. • Scientifically Formulated To Meet The Dietary Needs Of Growing Turtles With A Shell Length Of 2 To 6 Inches. • No Artificial Preservatives, Colors Or Flavors.